and Oh, How it grows! Pictures taken March 15, 2011 I have many pictures of Lizards. Just because they are so plentiful here in Florida. I can say though this is the first of any fighting. From these pictures it seems these two were pretty even at the score as to who won. I can’t tell. I don’t know male or female either. 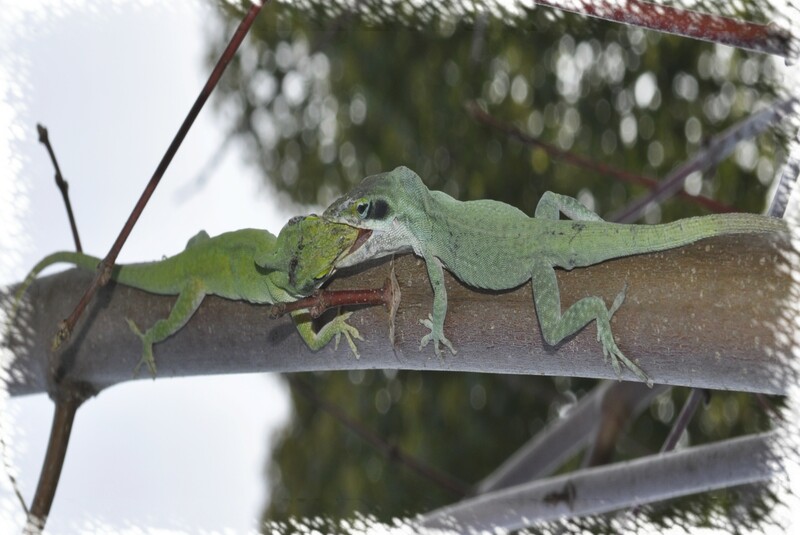 These critters can be a pest. They are harmless. 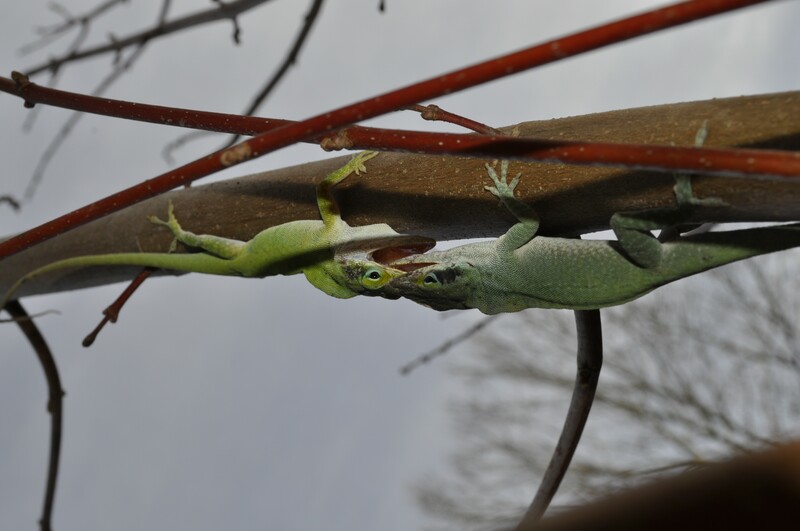 I don’t mind having them around to catch some of the unwanted bugs. They do ever now and then get into the house. I hate when that happens.! I normally pick them up and throw them back into the yard. Some aren’t that lucky get missed and they die from starvation.. I have did very little research. I found a very interesting website that I will keep in my bookmarks. 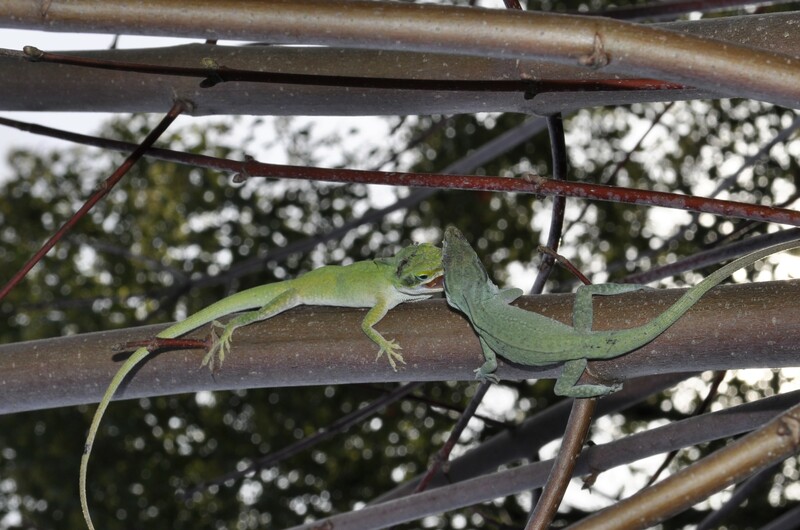 A Great Website click here more info on Green Anole. Also see Jonathan Logos wordpress link to my opinion as interesting writer. Thanks Jonathan for using my image. I added your link to my WP Blog. 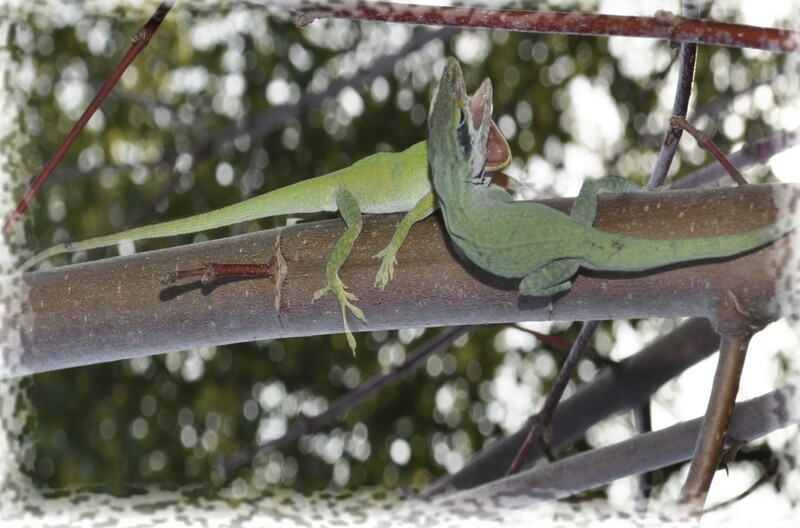 I now can post image as 2 male Anoles, Carolinensis fighting according to your research. Thanks again God Bless.